Get premium-quality tiles in Newcastle Under Lyme from Steve Emery Roofing Specialists. We have many years of experience in the roofing industry and most of our business comes via recommendations from delighted customers. We stock and supply a comprehensive range of roofing products including roof lights, guttering, storm damage repair products, chimney works products, and state of the art products like fibreglass roofing. Being a local business, our USP is our personalised service, tailored to meet your needs, preferences and budget. We combine this customer-centric approach with providing our clients access to the best of international trends, products and technologies. Customers remain loyal to us because of our competitive and sensible pricing policies. Whether you are looking for just a few tiles or a complete roofing solution, we’re glad to provide all the assistance and advice you need. For all buildings in Newcastle Under Lyme, tiles help to protect the building’s interiors. Tiles are easier to work with especially for roofers who are DIY enthusiasts or novices in the industry. Though it’s wiser to entrust the job to trained, experienced and qualified professionals, if it’s a small build or repair, you may be able to handle it yourself. 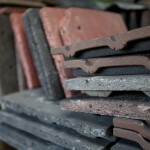 Companies that offer roofing tiles in the UK are spread well across the spectrum. There is a mass market sector that looks after large contractors and the sector that handles bespoke, traditional roofing solutions. These may be independent companies that source their materials from reputed, reliable manufacturers and brands. There are many different types of tiles available. 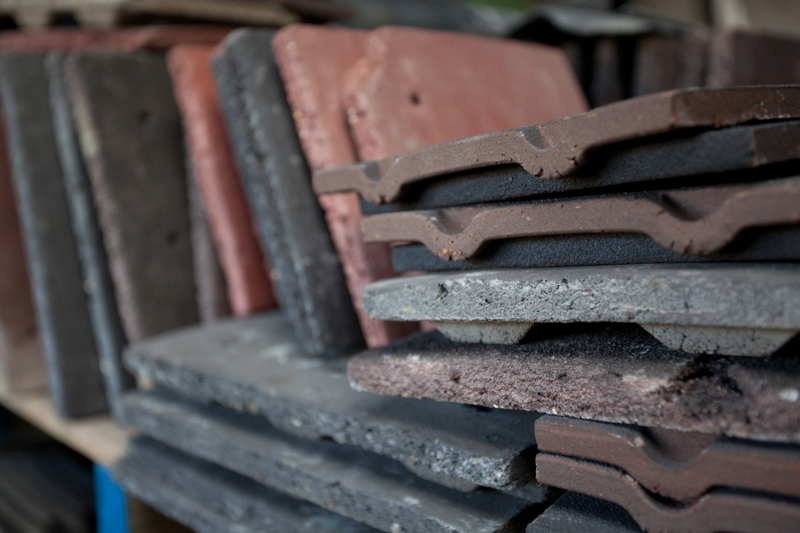 Clay, slate, concrete, machine produced or hand-made tiles are some of the options available in a variety of shapes, sizes, designs and colours. While choosing tiles in Newcastle Under Lyme, it’s good to be aware of the options. To find out more about our available tiles, contact Steve Emery Roofing Specialists. Interlocking tiles are the cheapest and most popular ones. They’re perfect for pitched roofs, but not attractive on complex roof designs. Pantiles with an S-shaped profile are attractive and versatile. They add charm and elegance and were popular in the East of England. Plain tiles are great for traditional roofing designs. Our team can help you make the right choice.